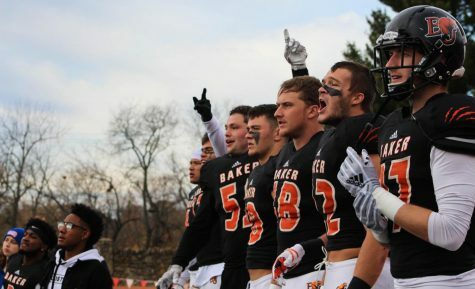 The Baker University football team recorded its largest margin of victory of the season on Saturday, defeating the host Avila University Eagles 45-3. The Wildcats made a change at quarterback toward the end of the first quarter, putting in freshman Logan Brettell from Blue Valley High School. 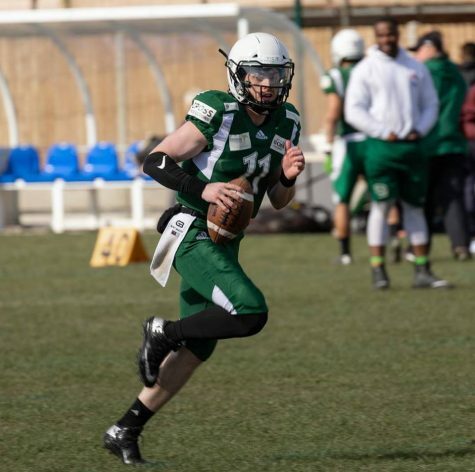 Brettell, who led his high school team to a Class 5A state championship in 2013, performed exceptionally on Saturday, completing 19 of 26 passes for 202 yards and a touchdown. 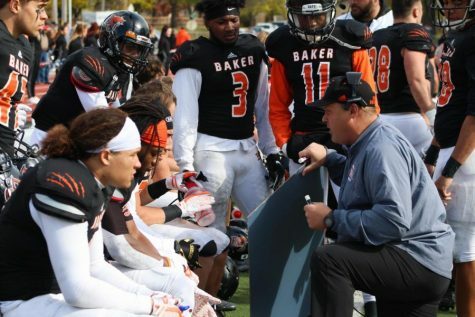 Brettell, who was already starting at kicker for BU after sophomore Clarence Clark was lost to a torn ACL, was told not to fall in love with that position by head coach Mike Grossner. 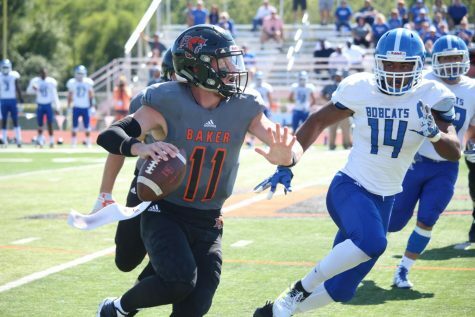 Junior Jake Heller, in his time at quarterback, threw for 67 yards and a touchdown, a 29-yarder to senior tight end Andrew Augsburger late in the fourth quarter. The Wildcats poured on, gaining 426 yards of total offense, and had a season-high total for points. Brettell praised the work of his offensive line. Powell found the end zone three times in the game on his way to a game-high 109 yards on the ground, his second 100-yard performance of the year. His strong performance came after missing the last three weeks with a toe injury. “He’s been working hard in the training room every day trying to get healthy, and we’re proud of him and never doubted him in this game,” Brettell said. 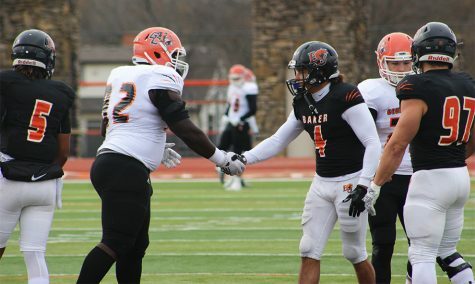 The Baker defense held Kelwin Burke Jr., the HAAC’s second leading rusher of 2013, to just 36 yards. “We really focused on being sharper this week,” defensive coordinator Jason Thoren said. “We had some places where we could make some improvements, but he played well, and we had a good time playing football today. 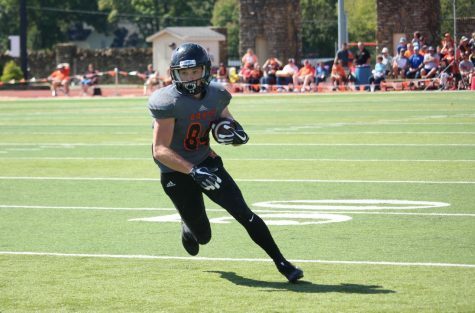 After two Powell touchdowns in the first and second quarters, Brettell was able to convert through the air, hitting T.J. Holtrop for an 8-yard score to put the Wildcats up 21-0 seven minutes into the second quarter. 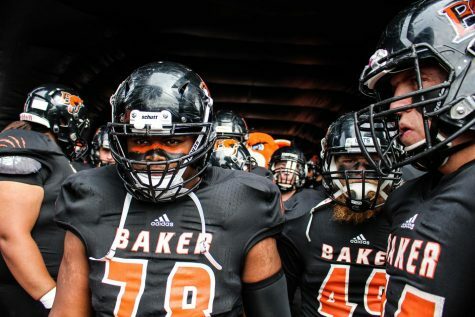 The third score from Powell gave Baker a 28-0 lead into halftime. Brettell hit a field goal in the third quarter, and senior Aundre Allen got into the end zone from 5 yards out to extend the lead to 38-0. After Heller’s throw to Augsburger, Avila avoided the shutout with a 40-yard field goal as time expired, still giving the Wildcats a 42-point victory. The Wildcats are now 7-0, 5-0 in conference play, with a trip to MidAmerica Nazarene coming on Saturday. The No. 2 Wildcats will take on the No. 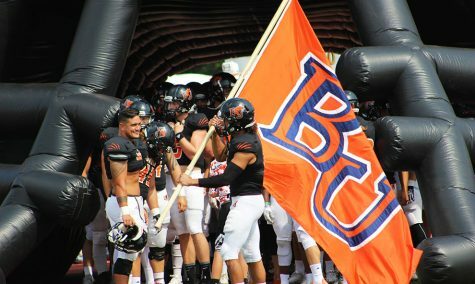 23 Pioneers, who are coming off of a 52-7 win over Evangel. 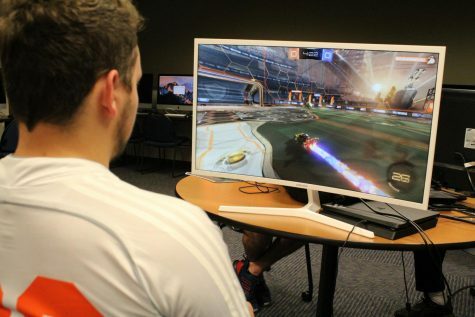 The game will start at 2 p.m at the Olathe District Activities Center.